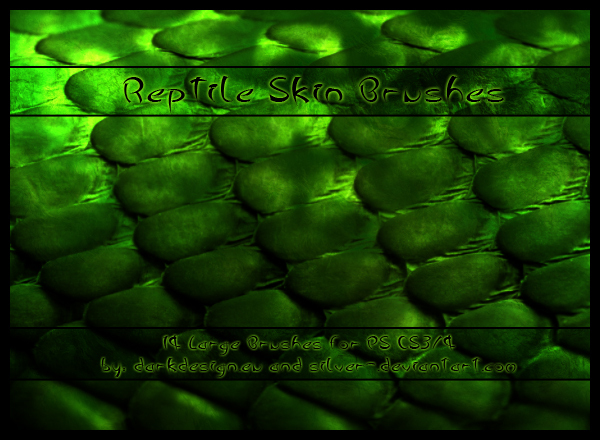 This is a set of photoshop brushes of reptile skin textures. The set contains 14 high-resolution brushes of various reptiles(snakes, lizards etc). Added a second brush file that should work with PS CS and above.